The book tells the story of Molly, a foster teenage girl and Vivian, an old lady, who was one of the orphans in one of New York Children’s Aids’s train to the West. The book documents for a period of America’s history; talking about the early 20s and the abject situations European immigrants found themselves stuck in. During the 20s and 50s, the “The Orphan Train Movement” was a supervised welfare program that transported orphaned and homeless children from crowded Eastern cities of the United States to foster homes in the Midwest. The program’s officials, though attempted to help, didn’t follow up the conditions in which those kids found themselves in. Others also called it as a kind of slavery, as those foster families took those children as free workers ! Yes, there were some fortunate kids, but that wasn’t the case for all. In this book, the author writes a fictional story of one of those kids…though many might have faced what Vivian faced ! The story shifts between the 1930s and 2011. Molly’s life, whose childhood resembles that of Vivian, though there is no orphan train now !, comes across Vivian’s when she needed to do her community service hours to avoid Juvie . The story is about the need to identify oneself and to have a family…to find love. It talks about the everlasting consequences of loss and forgetfulness. 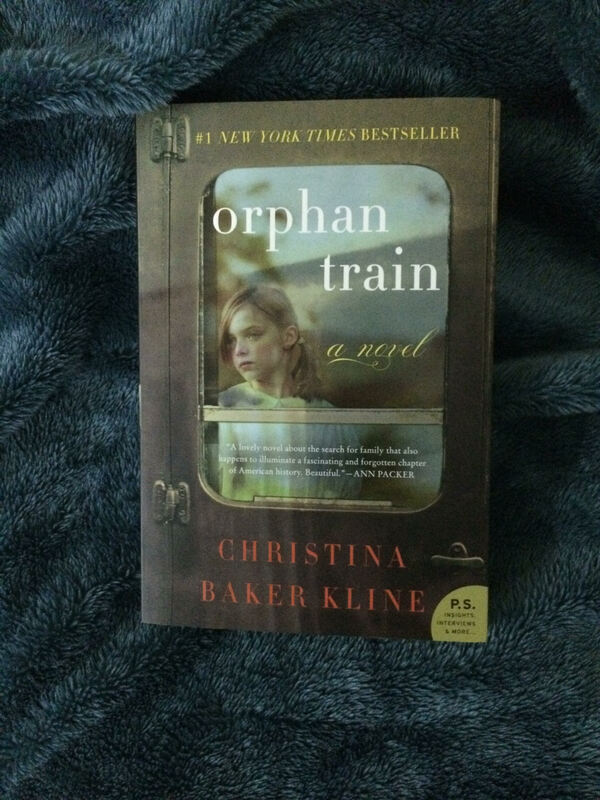 Orphan Train tells of how people could be cruel and how could they be kind. It pictures life with all its miseries…and happiness, too. Vivian goes through so much…she loses her family, her childhood, her husband, her child, her sister ! Though she gains many things through this journey, they are coloured forever by her early childhood. Through her story, the author also criticises the current situations of foster children. Although institutions claim they do their best to care about those children, in reality many of those children like Molly are just mistreated by their foster families. This is a waste of youth potentialities. This is really a great novel. It is a real page turner book! Molly is able to understand what Vivian goes through because of their shared experience..she feels a real empathy towards her. Maybe those who went through similar situation may appreciate this novel more, they would know what does it mean to be separated from your family and history…what does it mean to lose those you love most…and what does it mean to be treated as a half human, a thing not worth of respect or love. Life is not cruel, it is people who are cruel to each other, who distort the beauty of this life. Vivian and Molly are victims of such cruelty. However, what is great about this book is that it is not over tragedy. The ending is happy. Both Vivian and Molly are finally happy to express their emotions and live with their past.